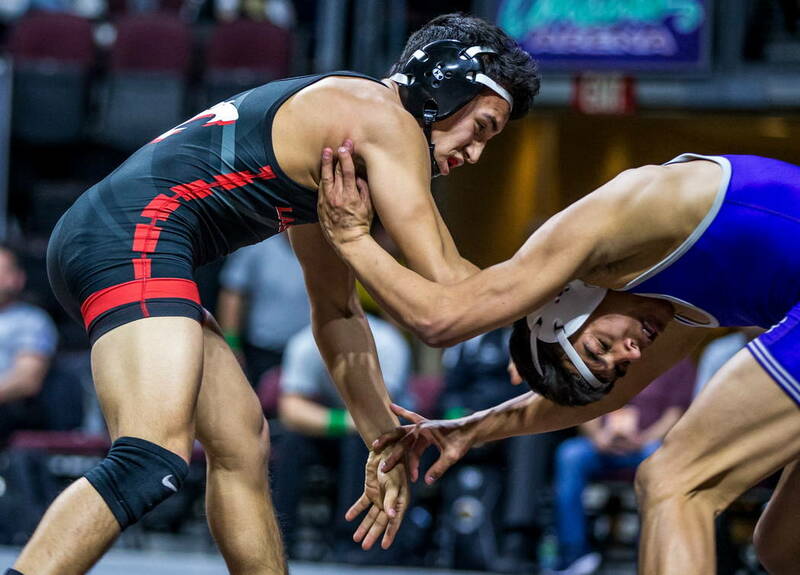 Spring Valley 132-pounder Andres Garcia beat the Sunrise Region champion, the Sunset runner-up and last week’s Sunset Region champion to claim his first Class 4A state championship Friday at The Orleans Arena. 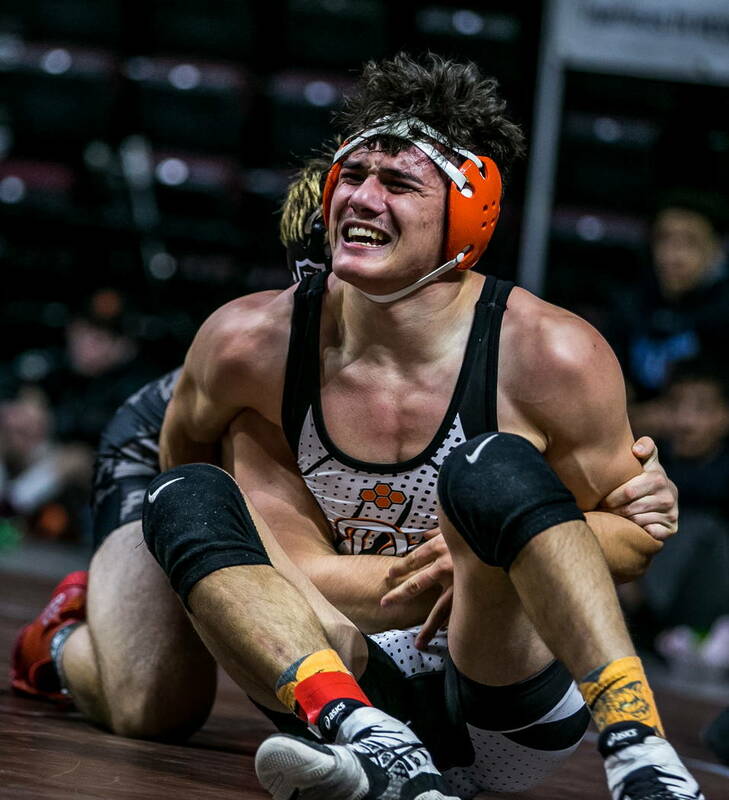 Last week, Spring Valley 132-pounder Andres Garcia placed third at the Sunset Region tournament and was seeded at the bottom of the bracket for state. 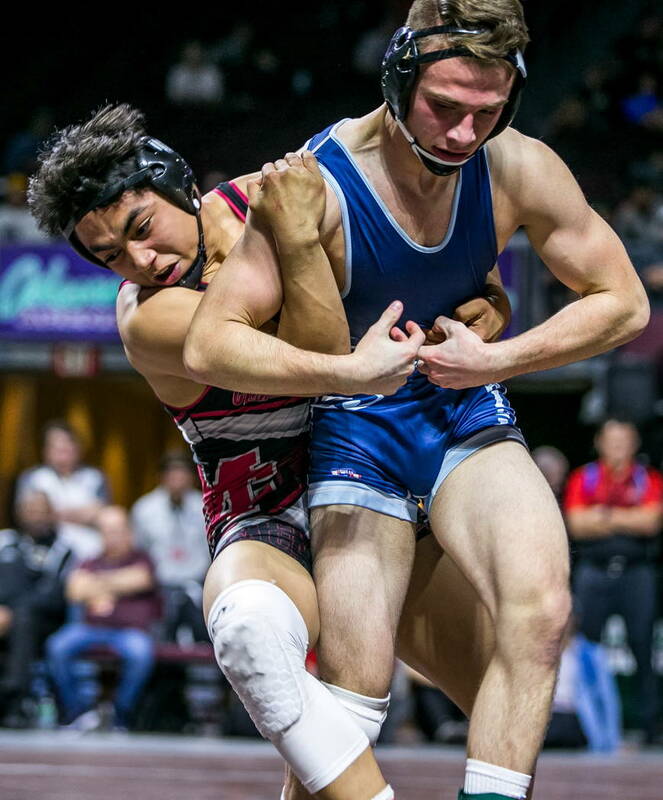 All he did at state was beat the Sunrise Region champion, runner-up in the Sunset and last week’s Sunset Region champion to claim his first Class 4A state championship Friday at The Orleans Arena. Garcia led Cimarron-Memorial’s Nathan Rodriguez 5-4 with nine seconds left, and was on top. At the whistle Rodriguez sprang up and nearly tied it with an escape, but could not stay in bounds. It ate four seconds off the clock, and when they came set again, Rodriguez was whistled for his second caution of the match, giving Garcia a 6-4 lead. Garcia let him up at the whistle, and walked off the mat as a 6-5 winner and the fourth state champion in program history. 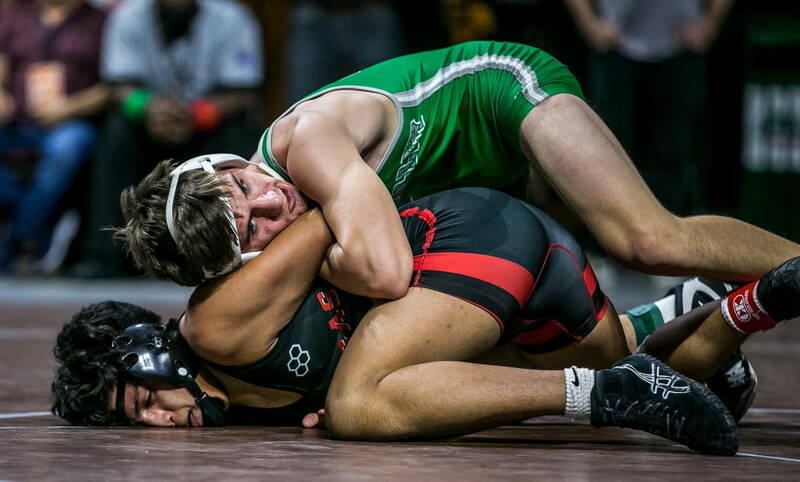 At 126 pounds, Las Vegas senior Antonio Saldate scored the revenge of the night. 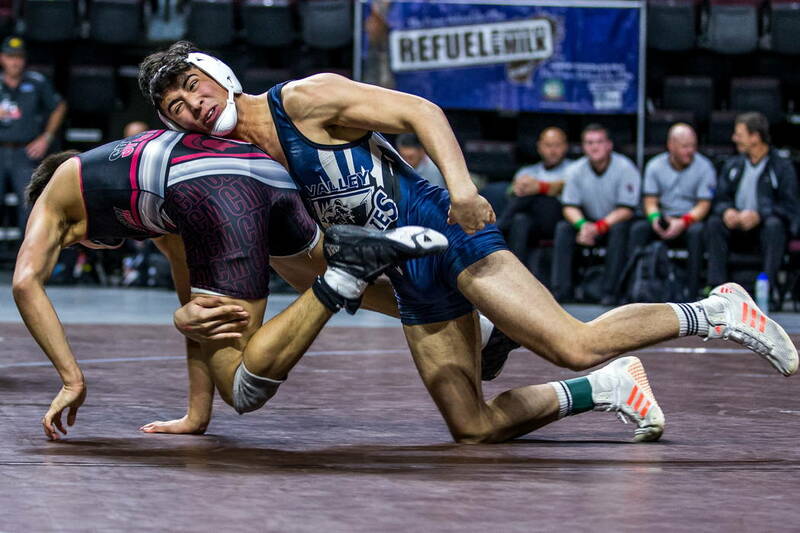 After winning state championships his freshman and sophomore year, Jacob Ruiz of Spanish Springs knocked him off in last year’s final. So when Saldate got his opportunity, he didn’t pass it up. He scored the first point of the match on an escape with 31 seconds left in the second period, and scored two more on a takedown as time expired. He finally turned Ruiz to his back in the third period, and scored a 10-2 major decision, getting up and bowing to the Las Vegas fans. Saldate said this was easily the sweetest of his three championships. Ruiz and Spanish Springs will still go back to Sparks with a team championship. The Cougars scored 131 points to claim the title, six points ahead of second-place Green Valley, ending the Gators’ six-year title run. 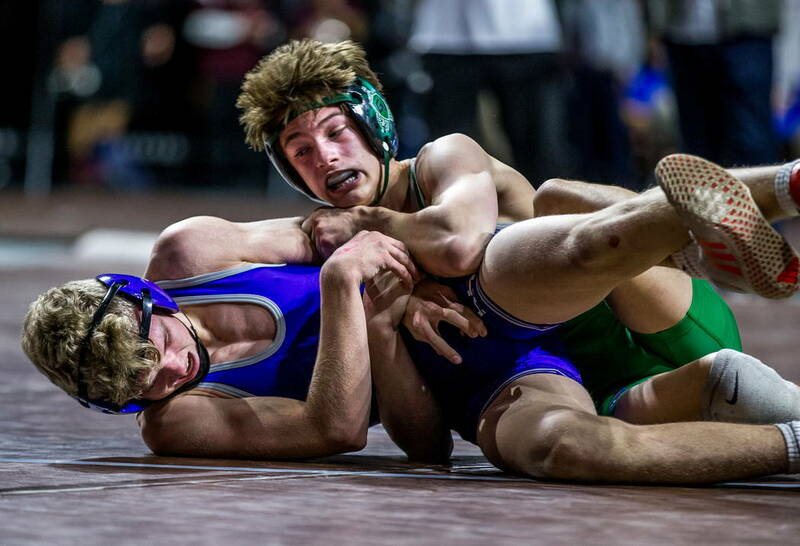 Despite the loss, Green Valley’s four individual champions are the most in school history. 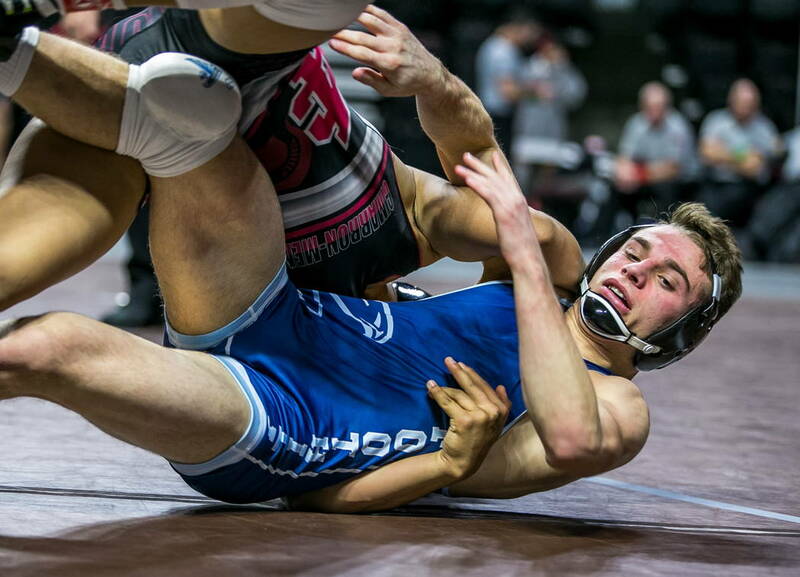 Virgin Valley 120-pounder Ty Smith became the 13th wrestler in Nevada history to win four state championships. After garnering some early takedowns and allowing his opponent to score escape points, he secured the pin 1:47 minutes into the match. Spring Creek won the team title with 197 points. Smith’s Bulldogs finished second with 99 points, one point ahead of third-place Boulder City. Rudy Cannon (106 pounds) and Cresent Crandall (182) also won titles for Virgin Valley. At 113 pounds, Cameron Thompson of Battle Mountain managed the same feat Smith did minutes before, picking up his fourth title via pinfall in 1:20. Thompson helped the Longhorns win the state championship with 234 points. Pahranagat Valley had the best finish among Southern Nevada schools, placing fourth with 84 points.